Looking to learn more about your upcoming carpet purchase? At American Carpet One Floor & Home in Augusta, we have local flooring experts who will help teach you everything you want to know. 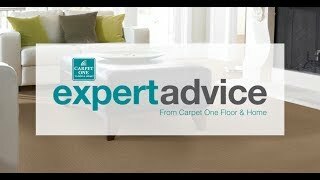 With our vast selection, we’ll be sure to help you find a carpet you love while helping you consider the pros and cons. No matter what you choose, have confidence knowing that our experts will pair you with a carpet to match your lifestyle and design vision. We make it easy to get your ideal carpet with our exclusive Select-A-Floor™ system, available only at Carpet One stores. Do you like extra soft carpet? Do you have kids or pets? These are things we take into account when searching for the perfect fit. Whatever your lifestyle, we are sure to have something for you. The carpet that will complement your life can seem like a far stretch. Who thinks of carpet as being durable or long-lasting? Not many people. However, technology has brought carpet a long way, and today we have pet-proof and stain-resistant options available. Made with high activity homes in mind, these carpets may surprise you with how they perform. Even carpets that are not pet proof today have improved tremendously from the well-known carpet of the ‘60s. Combine high efficiency with patterns, colors, and designs that people of all ages enjoy and you’ll quickly see that finding your ideal carpet is achievable. How do you balance what you want with what you need? Choosing the right type of carpet by understanding the differences is an essential part. There are five main types, level loop, patterned, textured, frieze, and plush. Carpet never fails to bring comfort under feet and a soft place to land. If you’re looking to come home and feel the softness of carpet or experience a family movie night on the rug, we suggest installing carpet in the living room or den. It can also be installed in bedrooms and offices. Carpet is not resistant to moisture, so bathrooms and kitchens are not ideal for carpets. Stain, wear, and fade resistant carpets can be installed in areas with high traffic including staircases and hallways. Our selection of carpet ranges in price and style. With thousands of options, we are sure to have something that you adore. We even have exclusive carpet brands like Relax it’s..Lees® and Tigressá. Finding your carpet is no longer a hassle; visit our showroom in Augusta, GA to see more. Taking care of your carpet properly can mean years of lasting looks. Find out what you should do to achieve the best-looking carpet. Different fibers and pile styles all change how carpet functions. Learn more about what carpet type works best for you.